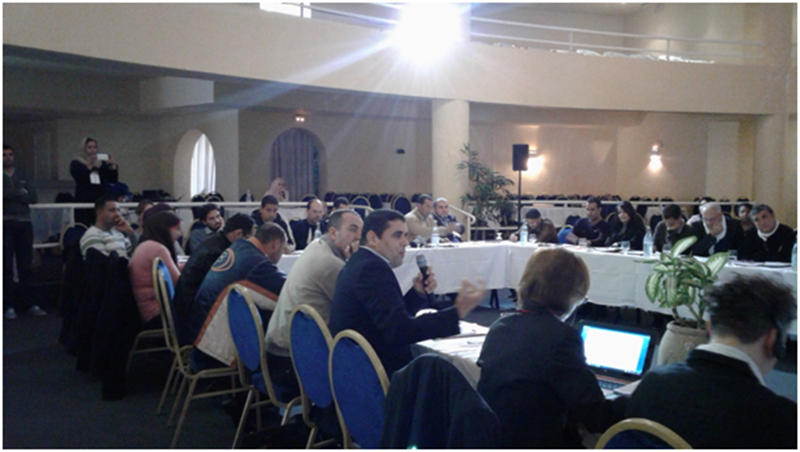 On December 3-5 the Forum of Federations, in collaboration with the Tunisian Ministry in charge of relations with Constitutional Bodies and Civil Society, organized a workshop for members of constitutional bodies and civil society. Delivered within the scope of Phase III of the Forum’s program to support decentralization in Tunisia, the aim of the event was to establish a regional dialogue on the role civil society plays in the implementation of decentralization and its operationalization. 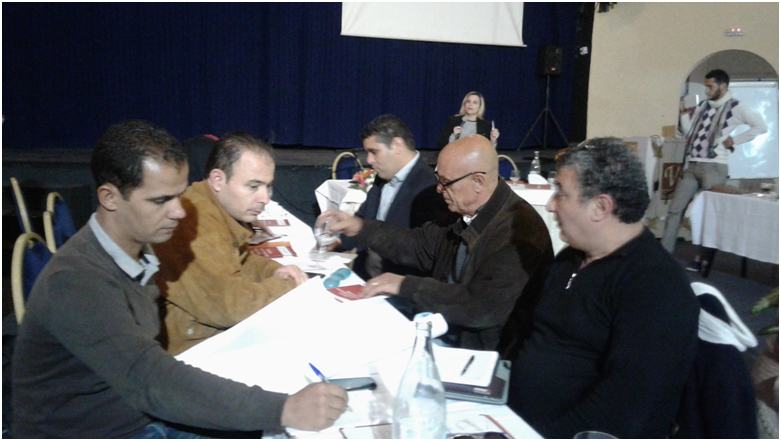 This meeting brought together young people (men and women) active in civil society in the Medenine region, two international experts, a number of local experts, and “Al Bawsala” – a Tunisian non-governmental organization. Following a presentation which introduced the work of the Forum, Ms. Sheela Embounou, director of the Ottawa-based project, and Ms. Kalthoum Bouzaiene, Director in the Presidency of the Government, emphasized the role civil society will play in the economic and social development of Tunisia – especially in regional and municipal elections. The first day of training was devoted to defining decentralization concepts and assessing how they can function in Tunisia. Mr. Makram Montacer stressed that decentralization better reflects the preferences of different local stakeholders in the delivery of public goods and services. The expression of preferences by local stakeholders must pass through the creation of democratic institutions. Principals of decentralization are enshrined in the Tunisian constitution but the process through which this model will be developed remains insufficiently clear and complicated. Our expert explained European experiences in this area based on more balanced territorial competitiveness. The constitutional role of civil society was explored by Ms. Salwa Hamrouni, a member of the Tunisian Association of Constitutional Law and Professor of Public Law. She underlined how local authorities and civil society must work together to make decentralization function. The next municipal and regional elections will be particularly significant for civil society. For its part, the state should ensure transparency and respect for democratic local governance. Ms. Chaima Bouhlel, director of the “Marsad Baladia” project, explained that Tunisian associations should be active players in decentralization. The “Marsad Baladia” project was launched in January 2014 in order to monitor the activity of municipalities through access to information and communication. The project also aims to narrow the gap between the municipality and the citizen by improving the understanding of the realities of local and municipal politics, and increasing participation in decision making. An international perspective was provided by Ms. Alexa Conradi, former president of the Federation of Quebec Women, who highlighted that the role of civil society revolves around 10 basic points: Raise, Oppose, Criticize, Analyze, Mobilize, Negotiate, Propose, Disobey, Convince and Document. She discussed the housing crisis in Quebec, nominally a shared responsibility between the Federal Government, Provincial Government, and Municipalities. In this case, civil society organized a popular committee on housing rights, providing a new mechanism through which citizens could interrelate with the authorities. 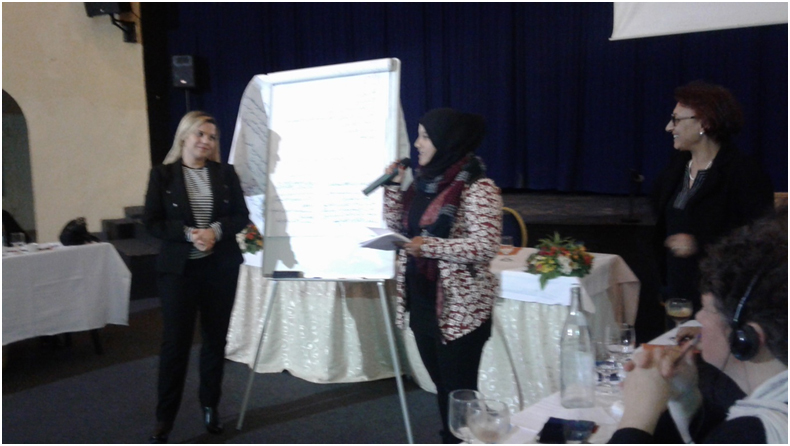 The first day concluded with group work on the challenges and obstacles faced by Tunisian civil society. Building on the Moroccan experience in decentralization, Ms. H. Lahbayli introduced the concept of the Participatory Budget, defined as a process by which communities participate in the debates on public policies, how best to use public resources, and how to ensure transparency. The participatory budgeting principles are: Participation, Efficiency, Transparency, Inclusion, Solidarity, and Transversality. In his second presentation during the workshop, Mr. Makram Montacer explained that decentralization is a societal choice that requires a global vision. Several challenges arise as a consequence of this process, including issues of the territorial division of the powers of local government, finance and taxation, cooperation, the implementation of devolved administration, and the promotion of investment and development. The final working group session focused on mechanisms to improve the participation of civil society in a process of decentralization.